The country infrastructure is being spruced up like never before. The Government of India is leaving no stone unturned in trying to bridge the gaps in our infrastructure by identifying critical bottlenecks in the smooth flow of people and goods across the country. Apart from prioritising the development of airports, strengthening of the port sector, moving the railways towards building high speed rail infrastructure, the Centre is paying adequate attention to the construction of the crucial roads and highways infrastructure across the country. The Budget 2018 further gave a bigger push to the development of National Highways as the budgetary allocation increased from Rs 61,000 crore in FY2017-18 to Rs 71,000 crore in FY2018-19. More than 60% of all goods and 85% of total passenger traffic goes through the roads. The country is focussing on achieving road construction of 41-km per day in place of the current 23-km a day. Sandeep Sharma takes a look at the roads and highways sector. In order to optimise the efficiency of road traffic movement across the length and breadth of the country by bridging critical infrastructure gaps, the Government of India has come up with Bharatmala programme. It’s a new umbrella program for the highways sector that would provide NH linkage to 550 districts, and be a major driver for economic growth in the country. The Minister of Road Transport & Highways, Shipping, Water Resources, River Development and Ganga Rejuvenation Nitin Gadkari had said earlier that under Bharatmala programme, highways works worth Rs 8 lakh crore will begin before the end of 2018. Bharatmala proposes to give 50 national corridors as opposed to the current 6. With this, 70 – 80 percent of freight will move along NH as against the 40 percent at present. The programme will help to connect 550 Districts in the country through NH linkages. Currently, only around 300 Districts have NH linkages. Under Phase-I of Bharatmala programme, a total of around 24,800 kms are being considered. The project first phase also includes 10,000 kms of balance road works under NHDP, taking the total to 34,800 kms at an estimated cost of Rs.5,35,000 crore. Bharatmala Phase I – is to be implemented over a five years period of i.e. 2017-18 to 2021-22. In addition to Rs. 5,35,000 crore for Bharatmala Phase-I, there is a requirement of Rs. 1,57,324 crore for ongoing schemes like NH(O), SARDP-NE, EAP and LWE under implementation in the Highways Sector. Thus, the overall outlay for Bharatmala and all existing schemes put together will be Rs 6,92,324 crore over a period of 5 years. Gross Budgetary Support for the Bharatmala program and existing schemes from 2017-18 to 2021--22 will be restricted to Rs. 2,37,024 crore from Central Road Fund (CRF), Rs 59,973 crore as Budgetary support, Rs. 34,000 crore from expected monetization through ToT route and Rs. 46,048 crore collected as Toll-Permanent Bridge Fee Fund (PBFF) by NHAI. Projects under Bharatmala Phase-I are to be implemented through NHAI, NHIDCL, MoRTH and State PWDs. Provision has been made for effective delegation in appraisal /approval of individual project stretches. According to the Economic Survey 2017-18, the country is likely to face a $526 billion infrastructure investment gap by 2040. New and innovative ways needs to be tapped to organise funds for the infrastructure projects. As per news reports, the highways development authority - NHAI is considering an equity-funding model for its upcoming expressway and economic corridor projects, auctioning them before they are built. The authority plans to tap foreign pension funds and other entities such as equity investors to fund mega-highway projects for reducing overall costs. NHAI seeks to auction 1,720km of highways and expect to fetch the Government around Rs15,000 crore. As per the scheme, the right to collect toll on selected national highway stretches is proposed to be assigned for a 30-year period to investors against an upfront payment of a lump-sum amount to the government. During the tenure of the contract, the operation and maintenance would be the responsibility of the developer. The cabinet committee on economic affairs had already authorized NHAI in 2016 to monetize 75 public-funded national highways with a road length of around 4,500 km. It is estimated that NHAI can fetch around Rs1 trillion from these road assets. The toll-operate-transfer (TOT) model will help NHAI raise upfront capital to fund road projects based on the engineering, procurement and construction and hybrid-annuity models. Ministry of Road Transport and Highways could construct only just 7,589 km of National Highways (NH) against the total target of 15,000 km in the current financial year 2017-18. The government has been able to complete 50 per cent of the total NH target as on February 28. National Highways Authority of India (NHAI) has collaborated with Airports Authority of India, AAI for developing green corridor along Varanasi Bypass covering 16.55 km of NH 56 and NH 29. A Memorandum of Agreement (MoA) was signed towards this between AAI and NHAI recently. Airports Authority of India have agreed to provide financial assistance of Five Crore rupee for plantations and maintenance work under their CSR funds for five years. NBCC Ltd, involved in management and consultancy services for civil construction projects has diversified into road segment and has recently bagged order worth Rs. 2,000 crore in road sector. The order includes developing 50 kilometres of four lane highway in the state of Uttarakhand. This highway will be build under green road model. For ecological planning of the project, NBCC will partner with Wildlife Institute of India, Dehradun. The project is also referred as the samruddhi mahamarg, or prosperity corridor. The project envisages construction of around 700-km road as a greenfield project with flyovers and interchanges at major road crossings. The expressway would pass through 10 districts and use more than 9,000 hectares of land. The speed limit set is as high as 150 kmph. The project is estimated to cost Rs 46,000 crore, including civil works, project management consultant’s (PMC’s) fees, land acquisition, and the development of industrial clusters and townships along the expressway. 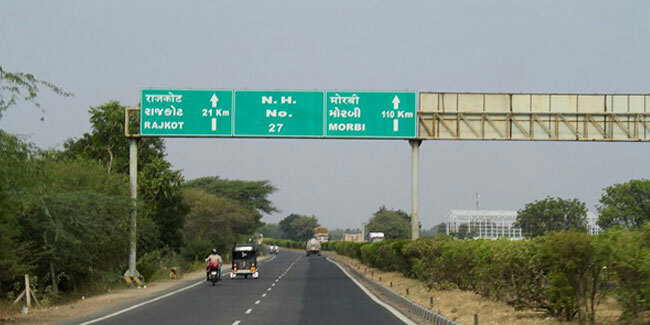 NHAI is implementing the construction of eight lane Vadodara Kim expressway from 355 km to 378.74 km (Padra to Vadodara section of Vadodara Mumbai Expressway) in Gujarat. The contract was recently awarded to IRB developers on hybrid annuity model. Ghaziabad Development Authority (GDA) is gearing up to inaugurate elevated road in Ghaziabad. The road will connect UP gate and Rajnagar extension. National Highways Authority of India (NHAI) is implementing construction of concrete road between Bengaluru-Mangaluru National Highway 75 in Shiradi Ghat. Mangaluru-based Ocean Constructions India Pvt Ltd is doing the construction. The work is being taken up at rapid pace and likely to complete three months before the deadline. Nagpur Municipal Corporation (NMC) has got Rs 60 cr aid for cement road works from the state government. The civic body is in dire need of funds to clear dues that have crossed Rs 200 crore. Due to the non-payment to contractors, the work to convert tar roads into cement is moving at the snail pace affecting work on 64 roads. The civic body could compete only 22.73% of road works out of 89 roads covering 81.68 km under phase-I and phase-II. As part of Phase-III, the standing committee had given approval to start cement concretization of 28 roads at a cost of Rs 156.86 crore. Mumbai Metropolitan Region Development Authority (MMRDA) is implementing Mumbai Trans Harbour Link (MTHL) project covering 22-km. This would be India's longest sea bridge and likely to cost US$2.31 billion to construct. MMRDA has awarded to Consulting engineer COWI the contract for the detailed design of the 10.3km Package 1 section of the new link. Ramboll is appointed to carry out work on the design for the 7.8-km Package 2 section. National Highways Authority of India (NHAI) has started construction of Foot Overbridges (FoBs) at five “danger spots” identified along the 17-km long Aroor-Edapally bypass stretch of National Highway 66 in the state of Kerala. Kochi-Aroor Tollways Pvt Ltd is the contractor appointed and entrusted with the operational maintenance of the stretch for nine years. Pimpri Chinchwad Municipal Corporation has undertaken construction of a two lane road covering 2.63-km length and 18 metre width along the Pavana river. The road begins near the Keshavnagar-Kalewadi bridge on the Chinchwad side, proceed along the Pavana river till Bhatnagar slum in Pimpri. The completion is targeted in 17 months. Minister of State for Road Transport and Highways Mansukh Lal Mandavia has recently informed the Lok Sabha about the construction of Kundli-Manesar-Palwal Highway(KMP Expressway) being implemented by the Government of Haryana. It was agreed that the cost of land acquisition, utility shifting, project preparation etc.for both Eastern Peripheral Expressway (executed by NHAI) and Western Peripheral Expressway (KMP Expressway) is to be borne by the Government of Delhi, Government of Uttar Pradesh and the Government of Haryana in the ratio of 50:25:25 respectively.The Manesar- Palwal stretch is already constructed while the work of Kundli-Manesar section of KMP Expressway has been awarded with scheduled completion date as Feb, 2019. On 28th February, the Cabinet Committee on Economic Affairs has given its approval to the construction of 4.531 km long 2-Lane Bi-Directional Silkyara Bend - Barkot Tunnel with escape passage including approaches on Dharasu -Yamunotri section between Chainage 25.400 Km. and Chainage 51.000 Km in Uttarakhand. The construction period of the project is 4 years. The civil construction cost of the project is estimated at Rs. 1119.69 crore, while the total project cost is Rs. 1383.78 crore, which is inclusive of the cost towards Land Acquisition & Rehabilitation and other pre-construction activities as well as Maintenance and Operation cost of tunnel for 4 years. The Cabinet Committee on Economic Affairs gave its approval for six-laning of Nidagatta - Mysuru Section of NH-275 from km 74.200 to km 135.304 on Hybrid Annuity Mode in Karnataka. The development of six-laning of about 61 km is estimated to cost approximately Rs.2919.81 crore including the cost of land acquisition and pre-construction activities. The civil construction cost is approximately Rs.2028.93 crore. The road sector development is crucial for the overall economic development of the country. As more and more places are connected through roads, it leads to increased activity in the passenger and goods movement from these places. As per the Ministry of Road Transport & Highways PIB release, so far 1407 sanctioned projects amounting to Rs. 4,32,538 Crore having length 44108 km are under construction which includes 71 projects amounting to Rs.21,042 Crore having length 1647 km in the state of Kerala and West Bengal. 343 projects are facing problems in timely completion of projects. These projects are likely to be completed by Dec 2020. The government has been able to complete 50 per cent of the total national highways construction target as on February 28, 2018. No doubt the achievement is not close to what the policy makers had envisaged but the identification of critical gaps would go a long way in connecting all the missing dots in the Road map of the country. Research Agency ICRA has assessed the impact of the proposed 44 economic corridors (ECs) under the Bharatmala scheme. According to ICRA report, 25 road projects with a debt of Rs 194.35 bn might be at risk due to the implementation of projects under Bharatmala programme. Government needs to find a way out and address newer challenges faced by the road sector. Union Road Transport & Highways Minister Nitin Gadkari is quite optimistic about developing 2 lakh km of highways and 12 expressways across the country. According to the road minister, the road sector was growing at 28 km per day in this fiscal and the government will target 40 km per day in 2018-19. The government is keen to make inroads and connect all the important nodes across the country. The road sector has immense potential to tap and billion dollar opportunity awaits the sectoral players.